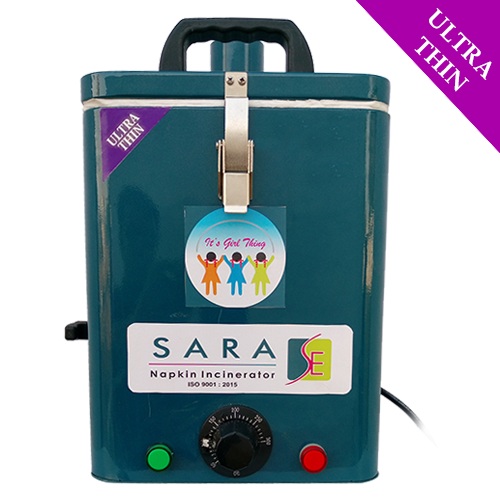 We "SARA" is a Manufacturer, Whole Sale trader, Supplier of Portable Sanitary Napkin Incinerator. All over the world, the disposal of the used Sanitary Napkins has been a very common problem. Especially in India, the used napkins are thrown to bathroom dustbins as it leads to embarrassing visuals and smells and the used napkins are flushed into the Drain. Both the above methods of disposing of Sanitary Napkins create problems. Here we provide the best solution for this problem by providing Napkin incinerator with Eco-friendly but cost effective. 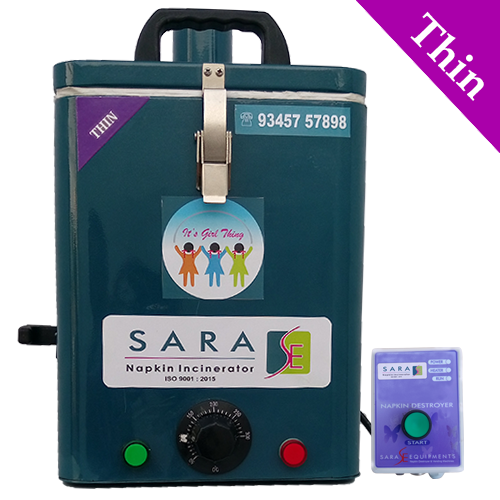 We are leading Manufacturer, Supplier, Trader, Seller and Exporter of Small Napkin Incinerator Machine which has Best Quality with minimal Cost. We provide this Home Model Napkin Incinerator to our customers in different sizes, designs and specifications. Retaining track with latest market development we are enthusiastically committed to offering supreme Quality Portable Napkin Incinerator with affordable Cost. The offered Napkin Incinerator is manufactured by using superior quality components. It consumes the lowest power in its class with wall mountable model. Our concern has acquired a distinguished market position in manufacturing, supplying and wholesaling a broad array of Nano Napkin Incinerator Machine which exhibits. Best and High Quality but Low Cost. Being compact in size, these Napkin Burning machines can be easily placed on the floor, in an open area or can be mounted on the wall of washrooms. 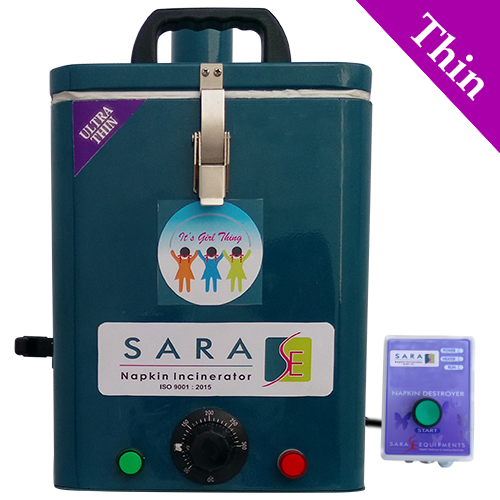 Our Nano Napkin Incinerator Machine is fabricated under the guidance of UNICEF our offered machines ensure to function properly. We are leading Manufacturer, Supplier, Trader, Seller and Exporter of Small Napkin Destroyer Machine which has Best Quality with minimal Cost. We provide this Home Model Napkin Incinerator to our customers in different sizes, designs and specifications. Looking for “Small Napkin Incinerator”?